The Xero Accounting Integration Module provides seamless (API) integration of Intertec TimePro with Xero making it easy to invoice your customers and pay your staff. 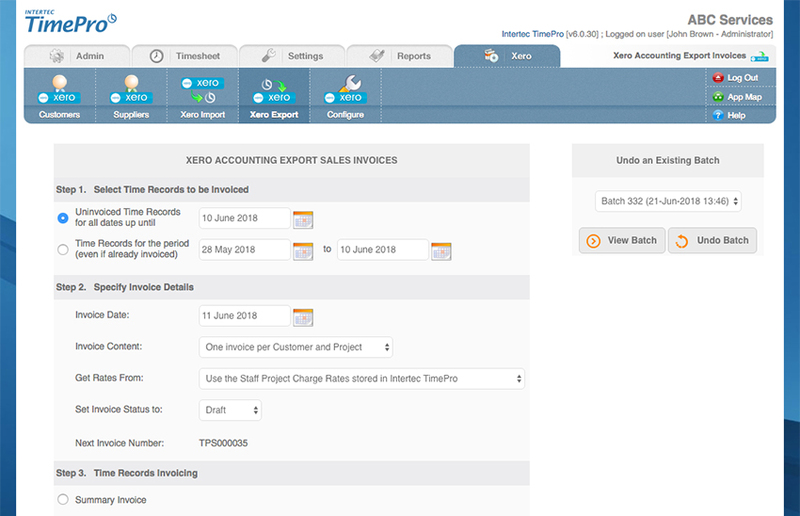 With Intertec TimePro’s Xero Integration Module, you can automate the process of creating Sales Invoices, Purchases Invoices and Timesheets in Xero using time records captured in Intertec TimePro online timesheets. When you purchase Intertec TimePro Hosted or In-House, you can choose to include the Xero Integration Module for a small additional charge. 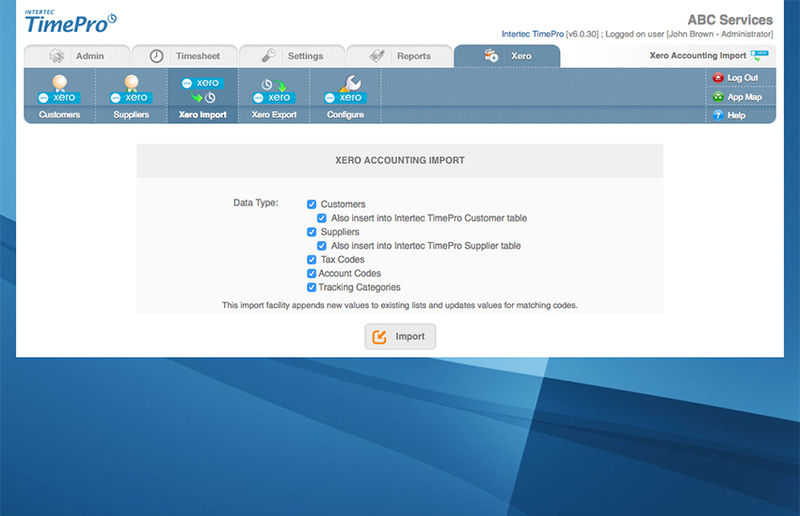 Import Customer, Supplier, Tax Codes, Account Codes and Tracking Categories by pulling data from Xero into Intertec TimePro. 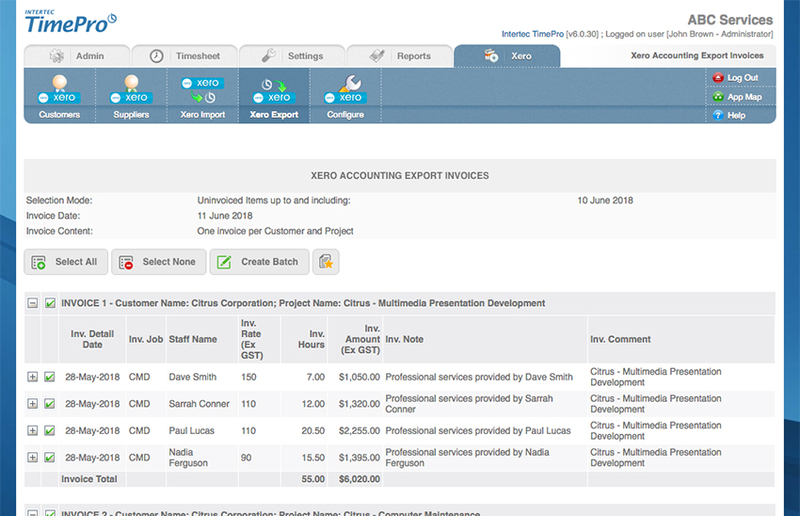 Prepare Sales Invoices in Intertec TimePro and push the data to Xero to generate Summary and Detailed Sales Invoices with associated Expense attachments. Prepare Purchases Invoices in Intertec TimePro and push the data to Xero to generate Purchases Invoices with associated Expense attachments. 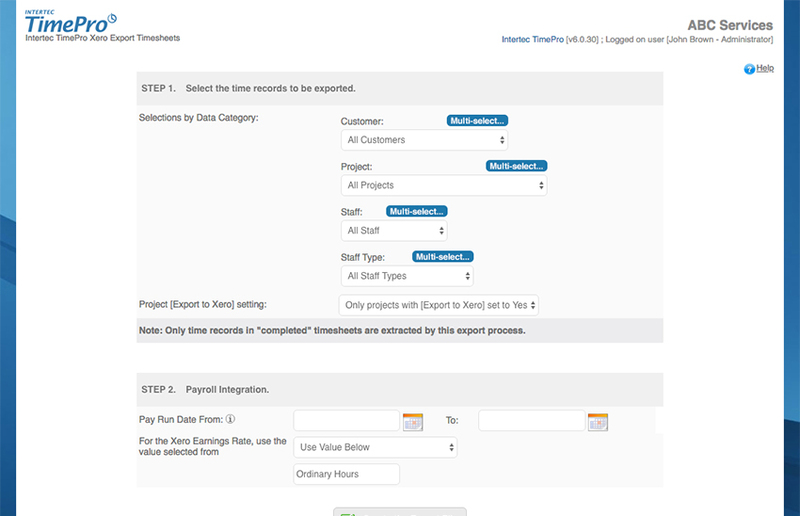 Reconciling Suppliers invoices is now simple and accurate. Push Time Records from Intertec TimePro to Xero to generate Timesheets for Payroll processing. You no longer need to manually re-enter time records in Xero! Who should use the Xero Integration Module? Businesses that use Xero and are looking to streamline time recording with invoicing and payroll processing . Organisations providing professional services which are charged by the hour.